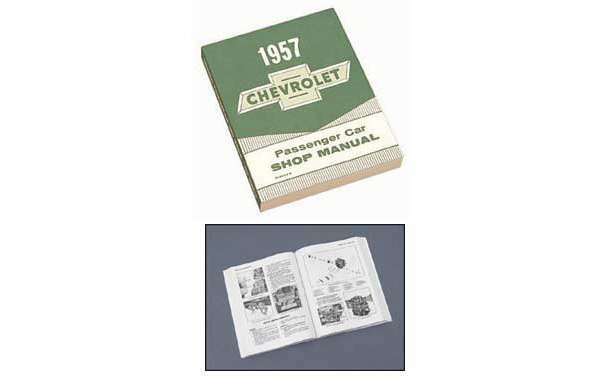 This 1957 Chevrolet Shop Manual Is A Reproduction Of The Original. This Shop Manual is a reprint of the original manual that dealer mechanics used to service and repair these cars when they were new. Covers routine maintenance procedures, minor mechanical repair & adjustments, electric information & troubleshooting information. It is full of disassembly instructions, rebuild how-to and reassembly techniques. In this 57 shop manual they are hundreds of diagrams, charts, specs and photos. This is a must have if you are going to work on your 1957 Chevrolet.